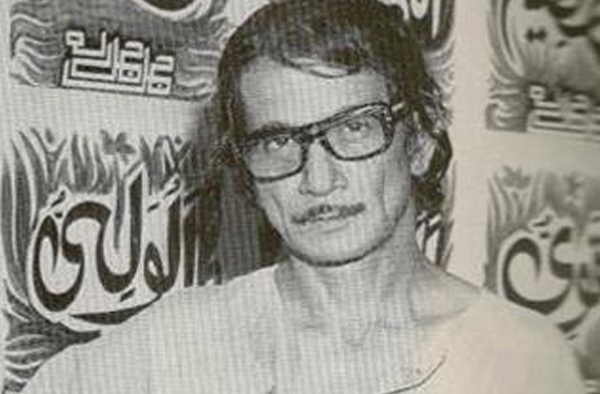 Sadequain Ahmed Naqvi – commonly known as Sadequain was remembered on the occasion of his 87th birth anniversary. June 30, 1923 descending from a family of calligraphers. for his calligraphic style, which is widely considered iconic by many critics of South Asian art. his own style of script. of the message of the word. cities, buildings, forests, men, and women. calligraphic art now dominates the art scene. on commissions from royalty and heads of state around the world. on the ceiling of Lahore Museum and his mural on the ceiling of Frere Hall in Karachi.